By first time mum Alex, who I met years ago climbing up some big rocks. I went into labour 3 days past my due date. I woke up around 1 am with some cramping and back pain. Ironically, my midwife had seen me that morning and said the head was 4/5 engaged but I wasn’t showing any imminent signs of labour so it might be awhile. I got out of bed and went into the lounge room to rest and move around. I thought I contacted the midwife straight away but I didn’t text her until around 2 ½ hours later. The contractions were gentle and far apart for the first couple of hours. Mark came to check on me around 3.30 am as I must have been groaning a bit by then. At that point she suggested Mark time the contractions for 20 minutes and then call her back. They were between 3 -5 minutes apart so she said she’d be on her way and suggested jumping in the bath. I spent about 4 hours soaking in the tub. Mark mostly sat with me and just gently encouraged me. Our midwife came in occasionally to time contractions and check baby’s heartbeat but otherwise just let us be. When Mark needed a break, my friend or midwife would sit with me. I remember my midwife saying that it’s good to feel prepared for labour but at the end of the day, it’s a natural process, the body knows what to do and to trust it. That was definitely my experience. I found the contractions intense and would sometimes tense my shoulders but had gentle encouragement to relax. At one point, my friend came in and reminded me to try some of the breathing I’d learnt at yoga and we started doing that together. It really helped a lot. My midwife encouraged me a few times to sit on the toilet, I think she wanted me to move around just to help the baby come down. After around 4 hours, I got out of the tub. My friend had prepared a few birth spaces for me and I decided I wanted to be in the bedroom. Mostly Mark and I were in there together with the door closed. Occasionally our midwife checked on us but mostly we were just in there together. At this point, my contractions sped up and I started to feel a pushing urge. Time passed with no real sense and I often felt a million miles away. I just breathed through contractions then rested between. I moved a lot – squatting, standing, sitting with Mark holding me. He was calm and gave me words of encouragement when I needed it. My pushing stage actually lasted around 2 hours and stalled for a while so moving around helped it to start again. I always thought the hardest, most painful part of labour would be when the baby’s head crowns. I was actually surprised when she was ready to come. I had some backache but my midwife showed Mark how to massage my back and she applied warm washers which was heavenly. As the baby’s head crowned, she applied a warm washer to my perineum and it felt amazing. I just relaxed and pushed. I remember thinking it felt good?! A warm sensation and an excitement that I would soon meet my baby. I looked over at my mum and friend and could see the trust they had in me, I felt Mark holding me and I listened to them all as they breathed with me. I knew I could do it and they knew I could do it. Our daughter came out in around 3 pushes I think and I was just in awe of what my body achieved. I thought I would cry. All I could do was stare at her in disbelief that she was really with us. I honestly didn’t find my contractions painful or scary. Each time I had one, I would tell my body to relax and that each one was bringing me closer to my baby. I was fairly sure I wanted another women at my birth and wasn’t sure what Mark would think about that as it’s such as private experience. We were both so glad my mum and friend were there. They just hung out and did loads of practical stuff, which was an immense help for us both. My friend had done a baby blessing for me a few weeks before and used a red cord to tie around everyone’s wrist. When I went into labour, she contacted my friends and they all broke the red cords around their wrists. Afterwards, I read the facebook messages my friend had sent giving updates and it was so nice. All my close girlfriends were sending me love and thoughts while I was pushing! I had asked my friend to take some pictures and I’m glad I did. I wasn’t even aware she was doing it. Afterwards, it was so good to look at the pictures because the birth passed so quickly and I didn’t even feel very present for most of it. I loved seeing the moments she captured, particularly the images of Mark holding me. They are so intimate and I felt very teary looking at those photos. It’s amazing to see the look on my face too. After the initial checks, my midwife left us alone to be with our baby. My placenta took some time to pass – around 2 hours. In a hospital, there is no way they would have given me that time. My midwife had shots of syntocin ready but she suggested sitting on the toilet and having a shower. After the shower, it just came right out in the toilet. I felt my midwife really trusted me to deliver the placenta when my body was ready. I also took a long time to do a wee cos I was very swollen. Again, she gave me some time and then suggested a catheter. Nothing like that to scare the hell out of a woman and I promptly did a wee! Our daughter, Elise came into the world calmly and has been a very content baby. 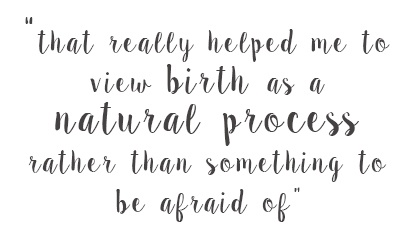 I would choose my home birth experience again in a heartbeat. I felt trusted and empowered. There was not one moment when I doubted my body’s ability. For someone it might be a home birth like I had, for the next person it might be the comfort of medical help being close by and for others maybe an elective c-section. I’m just so glad I followed my intuition and that my birth ended up being beyond anything I could hope for. The body is capable of amazing things if we let go and trust! I wouldn’t change a thing. As soon as I found out I was pregnant, I knew I wanted a home birth. I was there for the birth of both my brothers, one at home and one at hospital. My mum had a great natural birth with both. 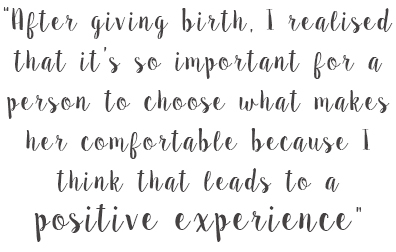 I hate hospitals and because I don’t see birth as a medical condition (though understand that at times medical intervention is needed), I knew home birth was the right choice for me. I set out to find a midwife and was lucky to find someone who provided home births in our small town. I saw my GP early on and she followed me until week 20 then I would usually have transferred to the midwife clinic. The appointments with my GP were honestly about 5 minutes. She took blood pressure, weight and got blood tests. In and out. No way was there any opportunity to discuss anything that was really on my mind. I met my midwife, Gail for an initial appointment and just knew I’d made the right choice. She spent about 1 ½ hours with me. I did a lot of reading about natural child birth and had a lot of questions I wanted to ask. I felt comfortable asking her about her experience, her birth statistics and just generally getting a feel for her. We decided to hire her and she followed us up from about week 13. We both feel it has been the absolute best decision we’ve made. She wanted me to book in to the hospital which I did just in case things changed and I required a hospital birth or transfer late in pregnancy. So my midwife would come for home visits roughly monthly then fortnightly and weekly when pregnancy progressed. She had an awesome library of books and dvds which she lent us and of course just answered our questions. She was really flexible with timing visits so from around week 20, we often saw her after work hours or Saturdays so Mark could attend. I really loved that he got to know her and was comfortable asking her questions. She did all the regular checks on me (blood pressure, baby’s heart beat, fundal height etc.) but she would also just spend time chatting to me. 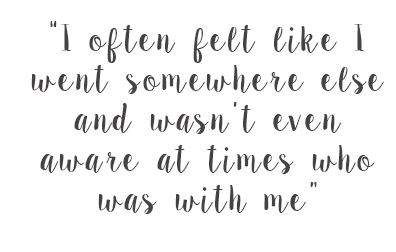 I was able to talk to her a lot about my fear around becoming a mother, letting go of my independence, giving up work for a while, the changes we would experience in our relationship. I found that stuff so much more important to talk about than baby development and birth preparation in general as it played a lot on my mind. Of course, it was also great being able to ask questions we had around body changes, birth and various tests. I did a lot of reading and discussed tests with my midwife. We opted not to have the gestational diabetes or strep b testing and I was really comfortable with that decision. 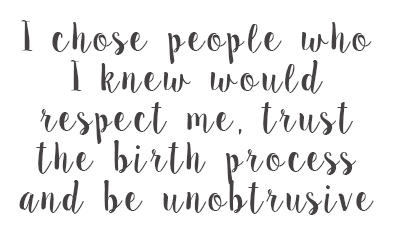 My midwife gave a lot of information, let us decide and never judged our decisions. I felt so respected with my decision making throughout the pregnancy. She suggested things to help prepare for the birth too, some of which I had never heard of – hello perineal stretching! Yes, that would be stretching the perineum! A scary thought! However, we psyched ourselves up for preparing that area and it was actually pretty funny! I think it helped too for me to become familiar and relax into the sensations I would feel at birth. I didn’t really know how I wanted my labour to be. Mostly I just knew I wanted a calm, quiet, dark and private environment. Apart from that I didn’t know exactly where I wanted to birth in the house, if I wanted some soft music or candles, if I wanted to be in the shower etc. so we didn’t really plan anything. We debated attending a course like calm birth or hypno-birthing but the timing wasn’t good. In the end the yoga I did was one of the best preparations for me. In the third trimester, my energy levels waned and a friend recommended Satyananda pregnancy yoga. It focussed a lot more on breathing, meditation, visualisation and gentle physical practice. This was new to me but I found it such a good way to connect to my baby and body. I started doing a bit of the breathing and visualisation everyday towards the end of the pregnancy. Even just 10 minutes a day really made a difference. I also used affirmations daily from the 3rd trimester. We chose to have our midwife at the birth. 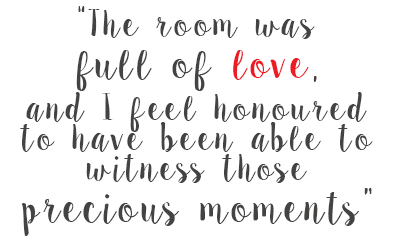 We also asked a close friend who kind of acted like a doula and my mum. I also knew they wouldn’t be offended if I changed my mind and didn’t want anyone there.